I love this!!! Fantastic idea! Thank you for putting this together. Next up....a meetup! Ha! Thanks Kelli! I'm hoping we'll get lots of Montana bloggers networking together! I've got some big ideas and a meetup is definitely in the plans! Next time I'm in Whitefish, I'm headed to the Red Caboose and we can scheme up some more ideas! Love this idea! I was just searching around tonight for a Montana Bloggers group. Not exactly comfortable leaving where I am in Montana - wish that wasn't a requirement to fill out the form. I'll be following along though! Thanks Jessica. No worries, we're happy to have you follow along! We've got Twitter and Facebook page too if you'd like to follow there. Jessica if you email me your link and blog info I can still add you to the map or at least the blogger list! This Montana Bloggers link-up is a wonderful idea! I have submitted my link for the map, and added the button to my blog sidebar. Best of all, I now know of some wonderful Montana blogs to visit! Thanks for this opportunity Jenn. Welcome Susan! I'm hoping to do more with Montana Bloggers over the summer and there's chatter of a meetup in the fall possibly. I've added you to the map and looking forward to getting to know you! We're on Twitter and Facebook too! Happy Tuesday! Thanks for adding me to the map Jenn! 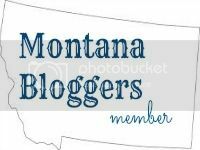 It will be fun to get to know some other Montana bloggers! We live in such a beautiful State, inspiration for blogging is never hard to find! 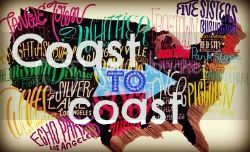 I just found a different website for bloggers in the Pacific Northwest and they have well over 500 people! This is such a great idea and I can't wait to see where it goes! I just noticed Jessica's comment about being added to the list, instead of the map. I think I'd rather go that route for the time being. Thanks!